At a time when moving home ends up costing thousands of pounds in fees, staying put and improving has become popular amongst thousands of UK homeowners. By improving your home with a basement conversion, not only will you add value to your property, but you’ll have extra space that can be used all year round. Why should I convert my basement? In most instances, the basement is usually a dark and dingy area housing a few boxes or cases of wine. Basements are normally large areas and utilising this space can increase your home’s value by thousands of pounds and give you extra room throughout the year. 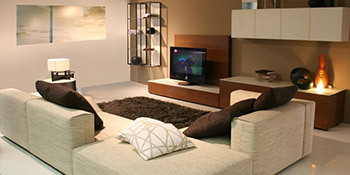 By converting your basement you’ll be able to add value to your property. By moving home you’ll end up wasting thousands of pounds in fees, so stay put and improve. With a basement renovation you’ll make the most of extra space and as the infrastructure is already in place you won’t have to pay out for construction. You can turn this wasted area into anything you want, from a bedroom or lounge to a study or games room. As the basement is already in place the room will only need to be secured and made safe, rather than having to pay out for an extension to be built on the back of your property. This means you’ll save money and be able to start using the new space quickly. With a basement conversion you can start using wasted space more effectively, adding value to your home and saving on moving expenses. For up to four FREE quotes from local, vetted and reputable professionals simply complete our quick form and find out how much you could save with a basement renovation. Project: Damp proofing and full conversion of existing cellar in to a livable space. Approx 4m X 4m. Project: Basement needs modernising. Toilet installation, possible wa removal and RSJ installation and window replacement. it was easier to put in a request then companies can conatct direct.. only one company came forward but it saved me trawling the net for hours ..